­­­­­­­­­­­­­­­­­­What’s in the Coffin Works Digital Archive? The Newman Brothers’ Collection is made up of around 100,000 objects, including furniture, metalwork, tools and machinery, textiles, oral histories and a business archive. Much of the collection spans the 105 years that Newman Brothers were in business giving us an insight into how this Victorian company once operated, eventually becoming Birmingham’s last coffin furniture manufacturer in 1998. The Coffin Works Archive provides a wealth of historical primary resource material. It also includes commentary and interpretation. Objects in the archive are linked to the following themes; Victorians, women, commerce, industry and manufacturing, people (jobs in the factory) and death. Students will be able to research within the archive to find out more about a particular object; its historical, global and social context, as well as how it was produced. The link to real people and a real working environment will enable pupils to understand more about life, work conditions, social attitudes and equality in the past and help them to compare and contrast with current world events, situations and the social attitudes of today. Human beings are curious creatures! We provide learning activities where students are encouraged to be curious, motivated to ask questions, research answers, and respond creatively. 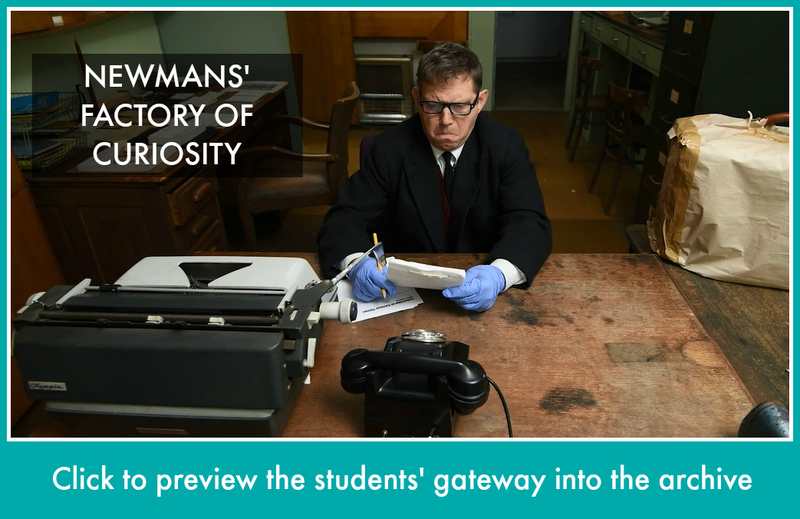 There is much in the Newman Brothers collection, and themes associated with it, which students will be curious about. Our learning resources support local heritage study in Birmingham, and can be used anywhere in the world to help students explore British industry in the 19th and 20th centuries. Alongside teaching history you can use the archive and our resources to support different curriculum subject and skill areas. This digitised collection and the stories it has to tell about the past is a rich source of material for teachers to draw upon and develop their own connections. It is a free resource for teachers.